Looking for a stylish and high-performance smartphone to enhance your multitasking than The all new BlackBerry Classic is the best choice for you. 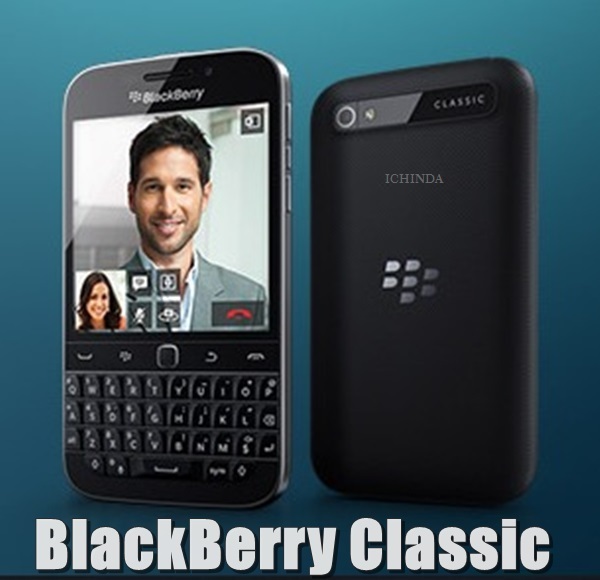 BlackBerry Classic with BlackBerry 10 featuring BlackBerry Blend and BlackBerry Assistant finally launched in India priced at Rs 31,990 which is available through Snapdeal and all BlackBerry stores in Black and White colour option. The all new BlackBerry Classic support 4GLTE, 3G, 2G, NFC, GPS Wi-fi, Bluetooth, USB and Single SIM, Nano SIM offers you traditional QWERTY Keyboard with Classic Trackpad and Navigation key comes with a 3.5 inches multi-touch display with resolution 720 x 720 pixels (~294 ppi pixel density) and Corning Gorilla Glass 3 perfect for watching video, playing games and browsing. BlackBerry Classic runs on BlackBerry 10.3.1 OS with BlackBerry Blend and BlackBerry Assistant feature and powered by Dual-core 1.5 GHz Krait, Qualcomm MSM8960 Snapdragon processor, GPU Adreno 225 with 2GB RAM offers 60% faster browsing and 50% longer battery life than it’s predecessor BlackBerry Bold 9900 while 16GB internal memory and 128GB external memory offers you huge space to store your favorite songs, movies, games and apps. BlackBerry Classic sporting a 8-MP Autofocus camera with LED flash, 3264 x 2448 pixels, 1080p@30fps, Backside Illumination, Image and video stabilization, 5 element F2.2 lens, 5x digital zoom, 1080p HD video recording at 30 fps and 2DOF video stabilization perfect for low-light shooting and 2-MP fixed-focus camera, 720p HD video recording, 3x digital zoom perfect for clicking selfies and video calling. It’s powered by 2515 mAh battery promising battery life 22 hours, standby time Up to 348 hours (2G) / Up to 365 hours (3G) and Talk time Up to 11 hours 40 min (2G) / Up to 17 hours 10 min (3G) with Music playback time Up to 70 hours measures 131 x 72.4 x 10.2 mm (5.16 x 2.85 x 0.40 in) and weight 178g(6.28 oz). At last few honest word, BlackBerry Classic is the best smartphone for high-end smartphone lovers. What you think? Please be open to give your view.